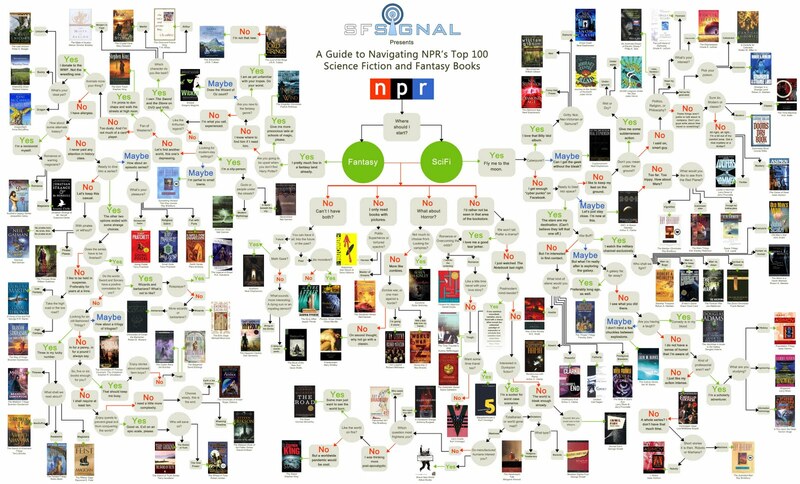 In August, NPR released the results of their poll to pick the top 100 sci-fi and fantasy books. SF Signal created an epic infographic to help you pick from the selections. 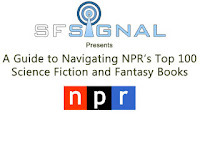 If that's not enough for you, SF Signal made an interactive version available. They also made a high-res version suitable for printing (25MB file). Based on this list, which book will you read? I've never picked from these kinds of lists. What I choose to read rarely goes off of the recommendations made on official lists crammed with Big Six promotion. Thanks for sharing. For the interactive one, I clicked on science fiction and clicked "yes" if I liked cyber punk, then "gritty noir," which came to "Neuromancer." But I like other books than cyber punk, so I guess I have to select "maybe" the next time around to get more selections.